For 2001 the hardtop Corvette offered some exciting performance upgrades and GM dipped into the past for a suitable nameplate: the Z06. Z06 was the designation for a special option package for race destined Corvettes in 1963 and was the brainchild of engineer Zora Arkus-Duntov. 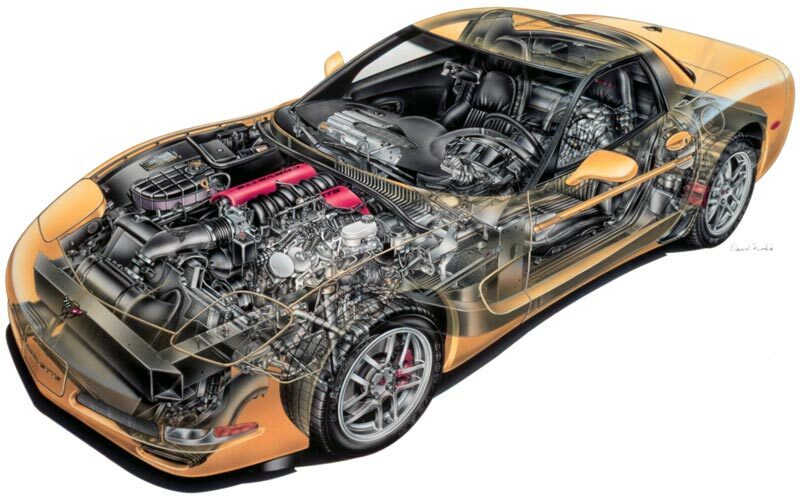 The new Z06 was equipped to be a dual purpose car: one that is at home on both the race track and public roads. Track days for amateur race car drivers had become popular and the Corvette lineup now featured a worthy participant. 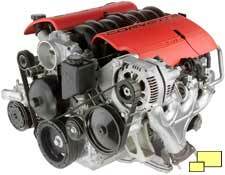 The star of the new Z06 was the LS6 engine which was named in honor of the 454 cu in. 425 hp motor available in 1971. It is based on the LS1 that powers the convertible and coupe Corvettes; both engines have 5.7 liters (346 cu in) of displacement. 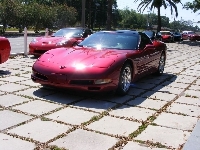 The Z06 is rated at 385 hp @ 6,000 RPM and the LS1 is 350 hp @ 5,600 RPM. 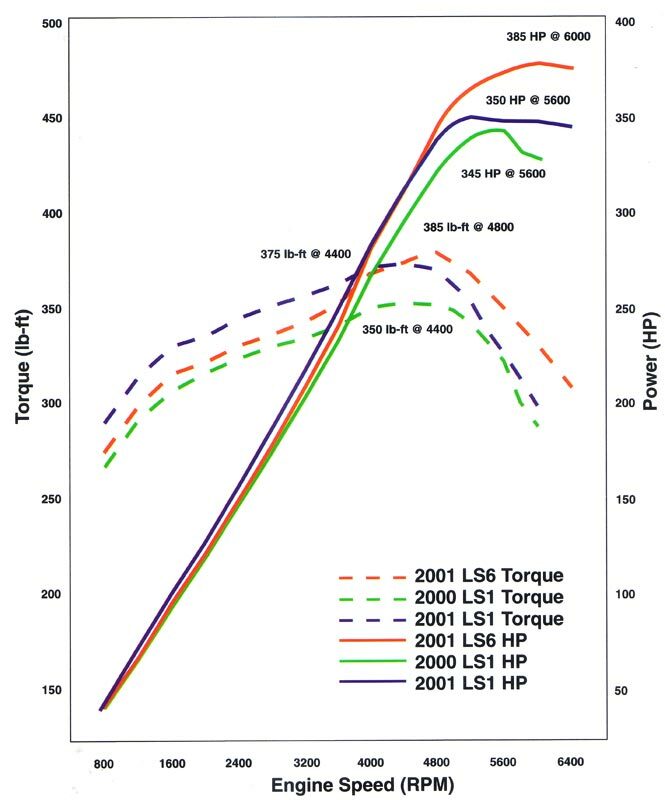 See the power curve to the right. The increase is due to higher compression cylinder heads (LS6 > 10.5:1; LS1 > 10.1:1) with improved porting, larger fuel injectors, a more aggressive camshaft, stronger valve springs and better crankcase pressure management along with speedier oil return. Backing up the improvements (pun intended) was a less restrictive lighter weight titanium exhaust system. Red engine covers gave the LS6 some visual distinction. 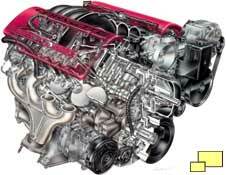 Worth noting is the 385 hp rating of the LS6, which is 10 hp more than the LT5 found in the 1990 ZR-1. 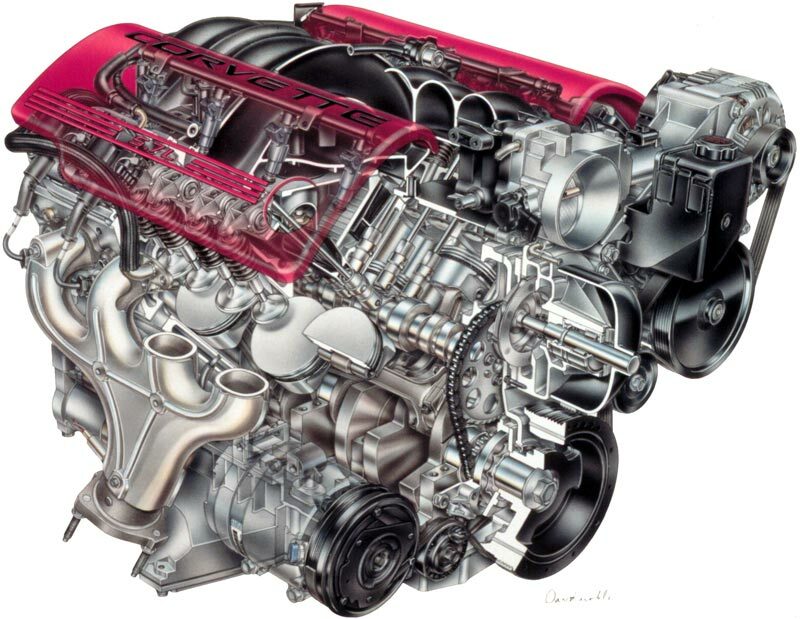 The simpler and less pricey two valve single camshaft design had conclusively proved itself over the complex and expensive four valve / four cam concept. Notes: Base Corvette Coupe with 346 cu. in. 345 hp engine and four speed automatic transmission: $40,475.00. Base Corvette Convertible with 346 cu. in. 345 hp engine and four speed automatic transmission: $47,000.00. Base Corvette Hardtop Z06 with 346 cu. in. 345 hp engine and six speed manual transmission: $47,500.00.